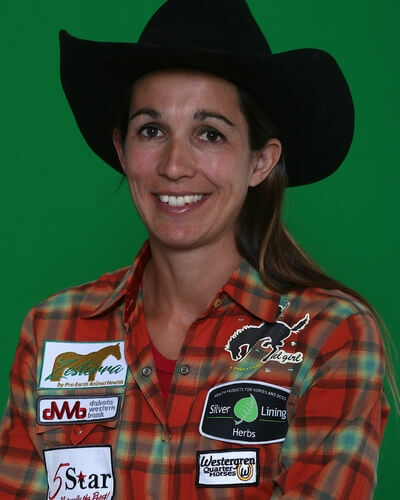 Do you think the Thomas & Mack environment will complement her running & turning style? I don’t have any worries about how Missy will handle the Thomas & Mack. Although she is young, I haven’t found a situation that has rattled her, or thrown her for a loop. She is very easily adjustable, so as long as I know where I want her to go when running at the blind first barrel, she will go where I ask her to. She also tends to get stronger the more runs she makes in one place so I am looking forward to the 10-round format. No. I just can’t believe we will be running there, and no matter what happens we are going to enjoy it. I love little mares with a lot of grit, and a willingness to let you guide them. 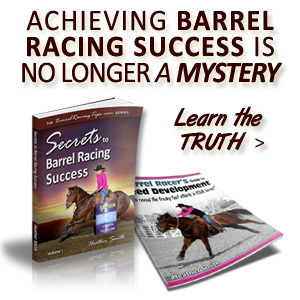 The biggest challenge is definitely dividing time and attention between barrel racing and family. 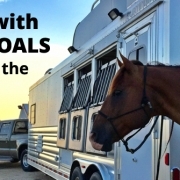 I feel like no matter how hard you try, there is someone that is getting cut short… if you are spending as much time as you feel like you need to, taking care of your horses, then you feel like you are not spending enough time taking care of your family and vice versa. It is just rodeo. There are so many people in the world facing struggles that I can’t imagine having to face… right now I have a very good friend whose three month old baby is about to undergo her second surgery due to being born with a heart condition, and another friend facing paralysis from a recent horse accident. I have been so blessed in so many ways, with five healthy children and amazing family and friends, and the fact that I get to make a living doing something I love is just icing on the cake. Yes, it can be so frustrating when your run doesn’t go quite like you wanted it to… I get just as upset as anyone else. But there are so many worse things that can happen than tipping a barrel to win a rodeo. 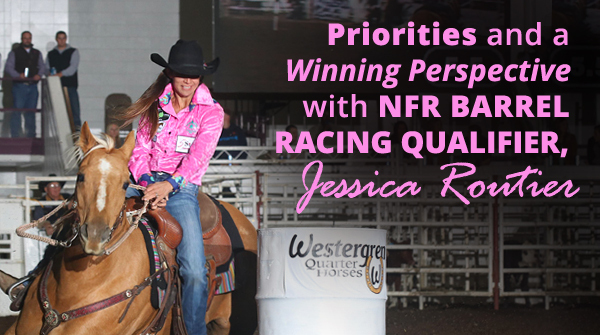 Some people dream of having a family, and some people dream of making the NFR. Here I am, getting to do both! I just feel so fortunate to be able to be living the life that I am. 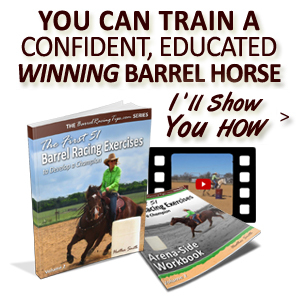 The most important thing you can do to keep your horse competitive is keep them happy and feeling good. A good farrier is so important. A good massage/chiro person is also important, and I really think that being able to do a little massage yourself, just to work out any little sore spots when you’re on the road really helps. 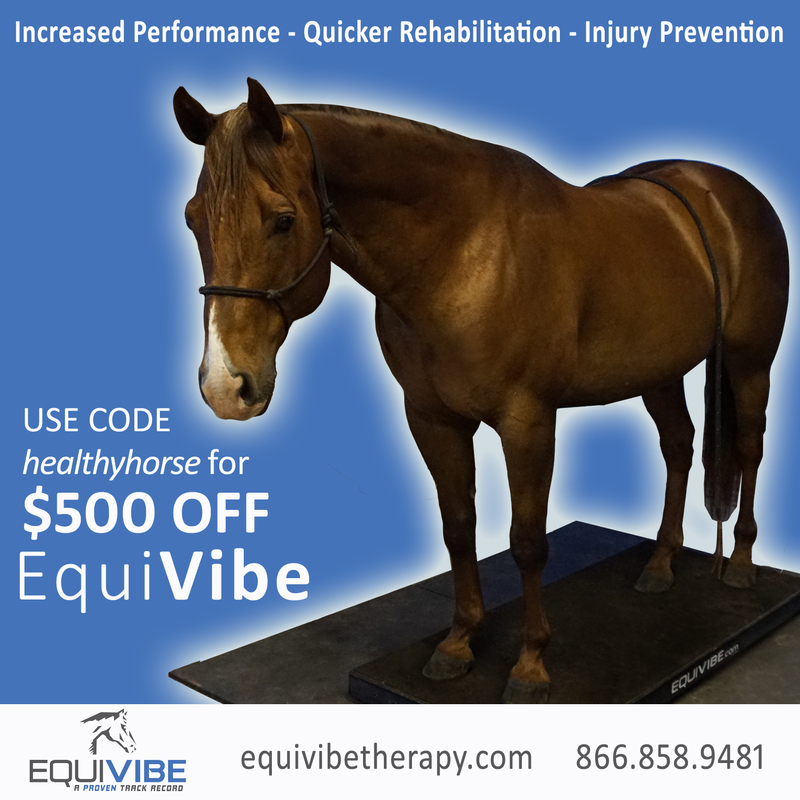 I use Top Performance Equine’s Ulcer Block, a variety of products from Silver Lining Herbs depending on specific horse’s needs, and Zesterra is my go-to for just about everything, from breathing to stomach issues. I love my 5 Star pads. As far as tack I’m not really particular to a certain brand or anything. I mainly like tack that is simple and light, and least likely to interfere with my horse’s movement. Outside miles are so important. 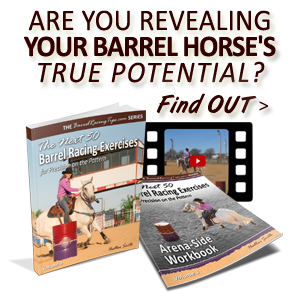 I feel like it is so much easier to put a horse on the barrels that has already learned to work hard doing jobs outside of the arena. We are lucky that our horses grow up working on our ranch. Things can be pretty unpredictable at times, so they learn to put their trust in you and appreciate the ‘easier’ work a little more. Time. 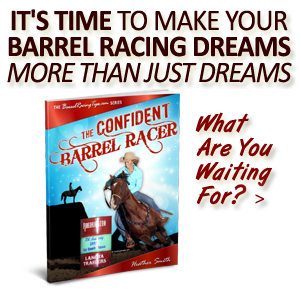 It truly takes so much time to be a professional barrel racer. Enjoy the ride. 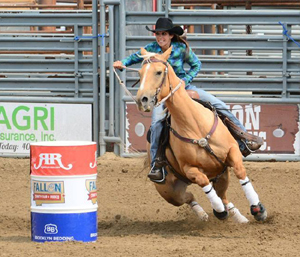 There are so sooooooo many more than 15 barrel racers out there who deserve to be at the NFR. Sometimes it works out and sometimes it doesn’t. But you can’t set out for the year stressing about making it. Don’t take any run for granted. The miles can get long, but try to make the best of every trip because if in the end you don’t make it, at least you can say you had fun trying. Can you share one of the most memorable or funny moments that stands out from this year? Right before our first run at the Tour Finale in Puyallup, Missy decided to try to itch her face on the fender of the semi that was parked by the warm-up area. She caught her headstall on the fender and ripped it apart. It is a good 15-minute trek from the parking area to the arena at Puyallup, right through the midway of the Washington State Fair, so we didn’t have time to go get something else, and I hadn’t brought any extra bridles to the arena. Several people saw what had happened and were so quick to run over and see what they could do to help. Thankfully Kellie Collier was warming her horse up in a different bridle than she was going to run in, and graciously offered me her extra. The headstall just happened to be small enough for my small-headed horse, and had ties instead of Chicago screws so we were able to get my bit put on her headstall in time for the barrel race! 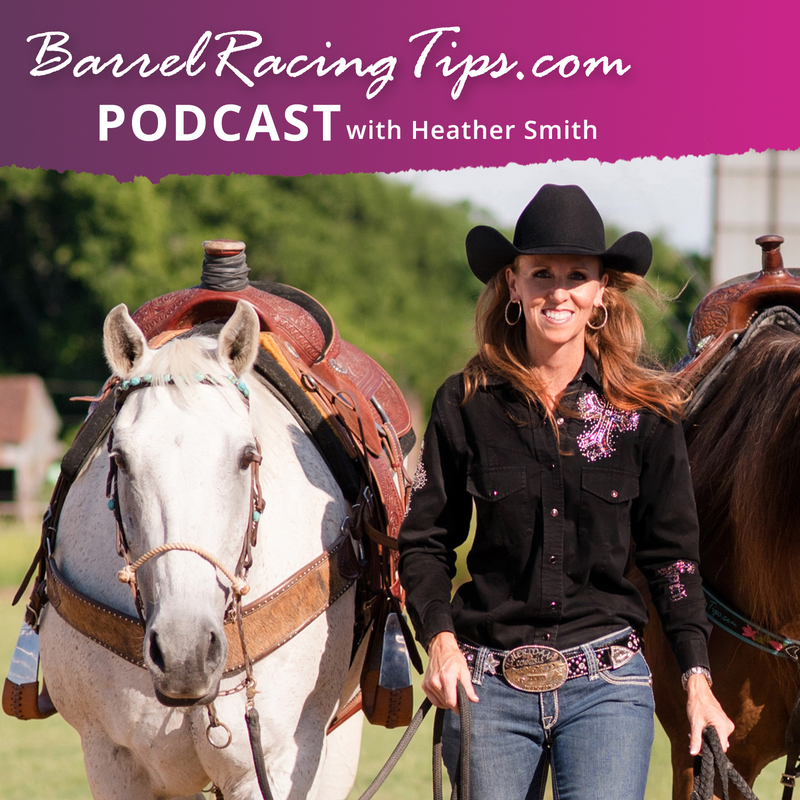 It was a perfect example of the barrel racing community you get to be in while traveling all year long. No one ever hesitates to help when they see someone in need… everyone is competing against each other, but cheering one another on at the same time. I really don’t know any other sport like it. Gosh, I don’t know… I feel like I’m just the small-town girl that found her way to the big city! I really can’t think of anything that I would change. There are so many – a good vet, a good farrier, a good massage/chiro person, supportive friends and family, a network of people across the country that know of places to layover and can help you with whatever you may need when you are far from home… A go-to person for advice who has been to a lot of the rodeos that you have never been to before is very helpful as well. Are there any special people you’d like to give recognition to? My husband and kids, our parents and families, and there are sooooo many friends that have done so much for us on this journey, I can’t even begin to name them all!